By Sia in Mobile. Updated on July 5, 2017 . Faxes have more or less been replaced by the email these days. While it is no longer the de facto method of sending important documents, a fax machine can still serve as a decent alternative to the email in times of needs. 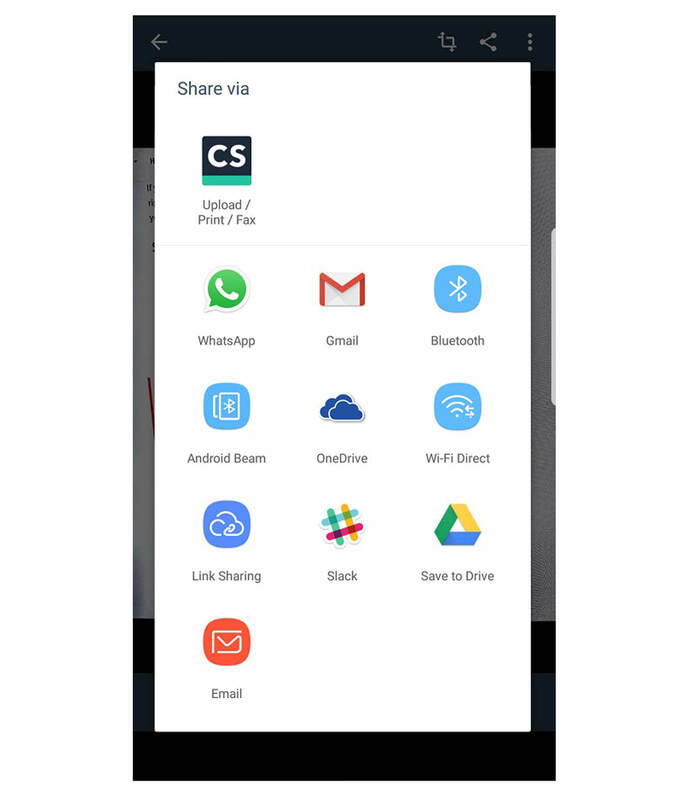 As such, we’ll be taking a look at two tools that can help you with your faxing needs right through your Android device. 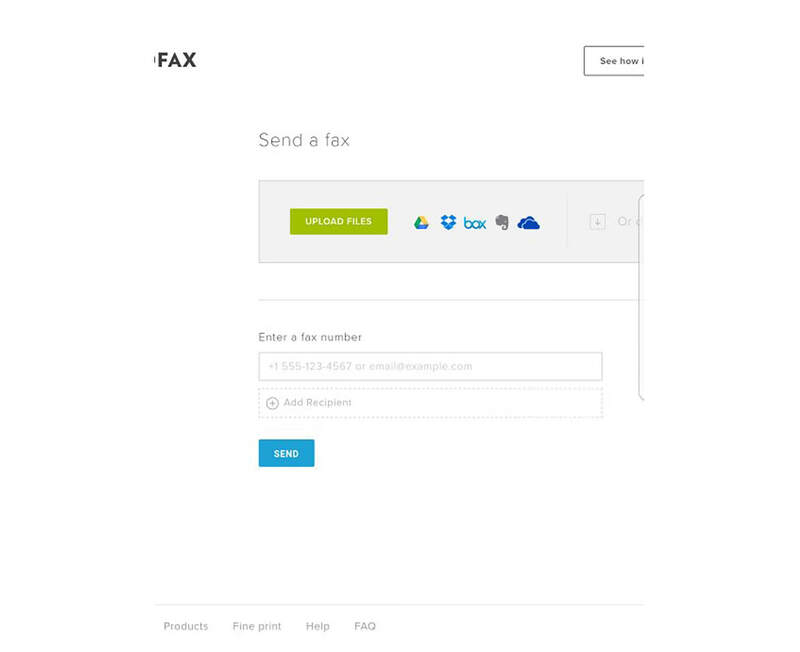 Those who are looking for a more mobile way to send their faxes will most likely be looking for a free app that can help them with their needs. For Android users, that app can be found through CamScanner. As the name may clue you in, CamScanner is primarily an app that scans and saves documents to your device by using the camera on said device. 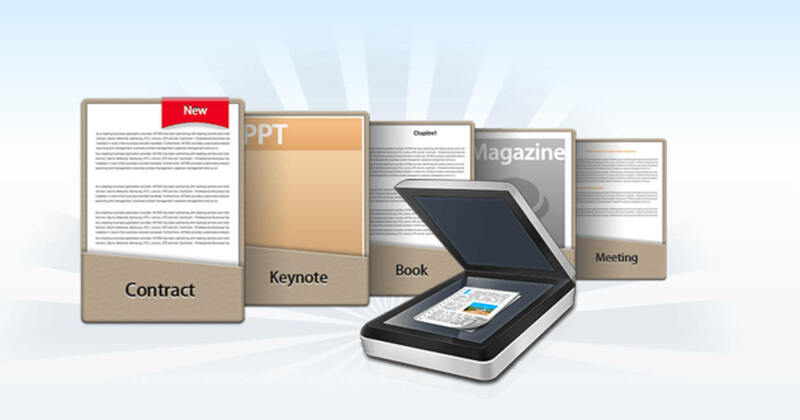 To add a document to CamScanner, you can either manually scan a document of your own, after which the app would automatically adjust the scanned image and convert it into a PDF. 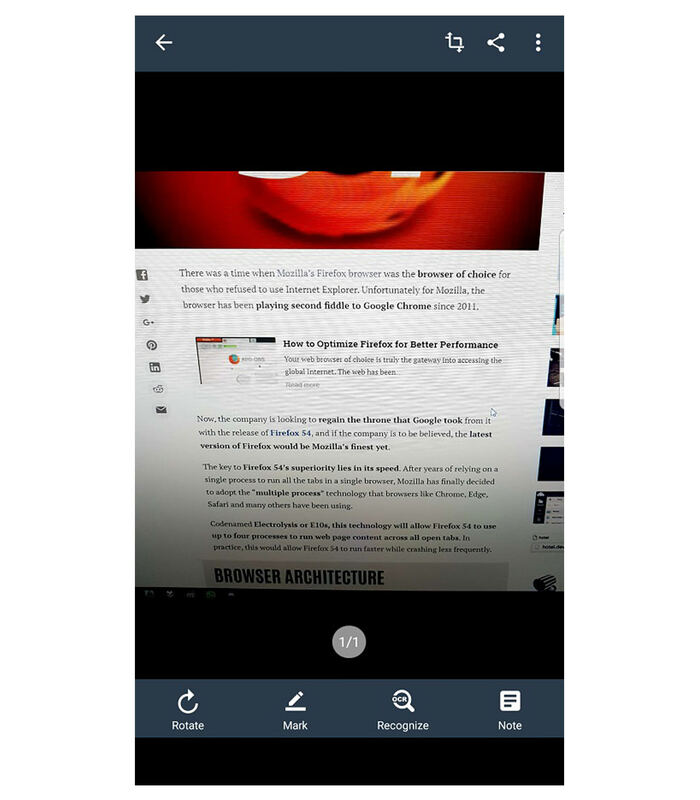 Alternatively, you could just import an existing document from your device’s gallery. Proceed to fax it by opening the document. Select the Share option and choose the Upload/ Print/ Fax option. Unfortunately, the act of faxing the document isn’t free, so you’ll need to top up your account’s balance by selecting the Recharge option. If an app isn’t what you’re looking for, there is an online web tool that can help you send faxes as well. 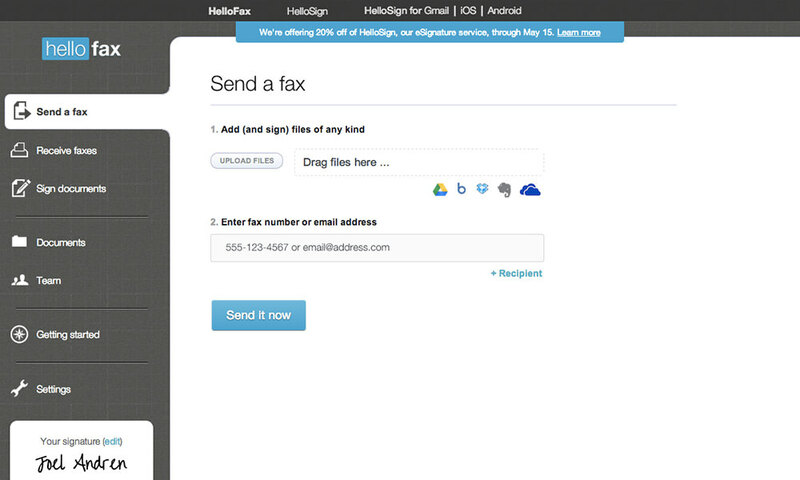 Called HelloFax, this particular web tool is lets you send faxes directly from your web browser of choice. Go to the Send a Fax page. Upload the document you wish to fax. Insert a fax number in the provided box. 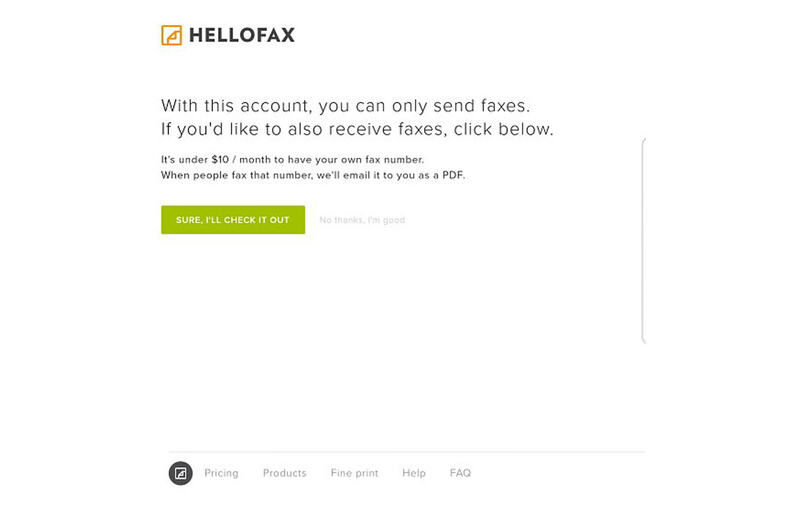 Unlike CamScanner, HelloFax does let you send five faxes for free. Once those five faxes are sent though, you’ll need to subscribe to a plan to continue using it. On top of that, you’ll only be able to receive faxes once you’re subscribed to a plan. Restrictive though HelloFax may be, the service is a decent one if all you’re looking for is to send a one-off fax.